HeyPlantMan! 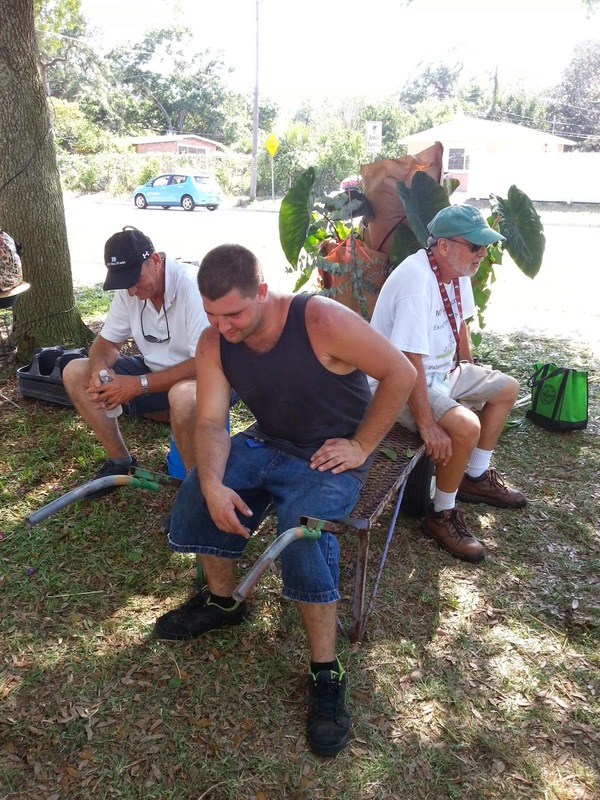 Exotic Tropical Plants from St. Pete FL: Green thumb Festival wrap up and more to come ! Green thumb Festival wrap up and more to come ! The crowds were just tremendous on Saturday, especially, so much so, that the crew and customers were tripping over each other trying to get to plants fast enough ! The weather was gorgeous, tho a bit steamy on Sunday and we are so grateful for our customers that came out to support us and all the vendors there. This is an event that helps many a vendor "get over" the summer when things slow down. 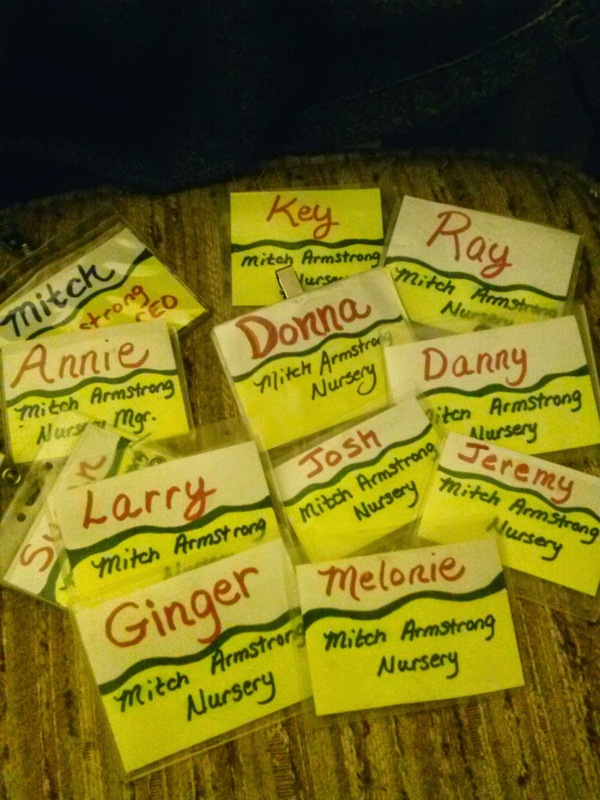 The stakes are high and we work our butts off to have great plant offerings. 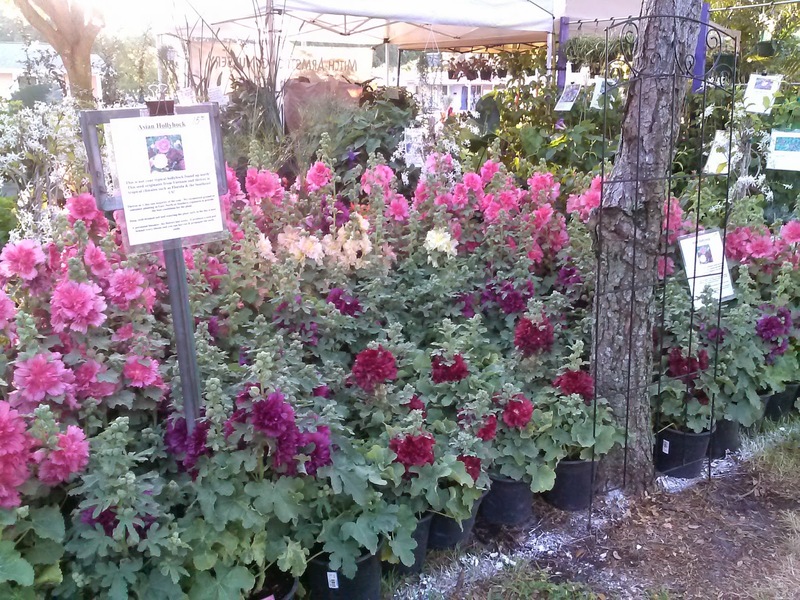 Over 200 Vietnamese Hollyhocks found good homes ! As well as hundreds of perennials, exotic tropicals, Hibiscus, Succulents, Bananas, Eucalyptus, Passion Vines went flying out of the booth and are hopefully now gracing many a homeowner garden. We left a few bodies in the road, ahem, very hard workers, that helped over the weekend. Superstar seller Larry Sousa, Superstar plant schlepper Jeremy and even brother, Marshall Armstrong, were along for the ride. In the end, it was a lot of hard work, a ton of fun and we are ever so grateful to all the people who came to support us, so thank you thank you thank you. What: Annual spring plant sale, come to our "garden party" ! For those of you down in the Punta Gorda area, we will be down there for the annual Hibiscus Festival the weekend of May19 & 20th. Location in Gilchrest Park, right on the water. Regular Saturday Morning Market season ends on Sat. 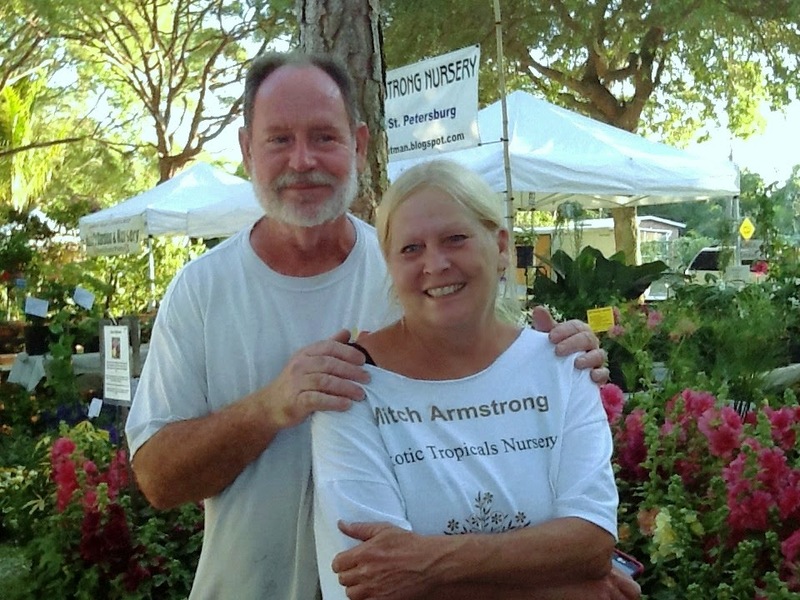 May 26th, then we go right into Summer Market season at Williams Park, downtown St. Pete, on Sat. June 3rd.